Journaling with Jesus: How to Draw Closer to God by Christian author, self-syndicated columnist and inspirational speaker, Carol Round, is a step-by-step introduction into drawing closer to God through scripture and the art of journaling. Let's face it, with today's fast-paced society, our memories are becoming all too shortened and unfocused. Inspired by other Christian women in her life, the author has written a book about her own journaling experience, as well as the experiences of other women. Her book is designed to assist others on their journey through practical advice and scripture application. God speaks through His Word and will not go above or outside His Word. By keeping a journal, one makes way for God to speak to the person through His Word. Be encouraged and uplifted by this book to begin your own journaling journey. Accompanying this book is a workbook entitled The 40-Day Challenge that helps readers to follow a daily devotional and routine in their new journaling adventure. The are many wonderful reasons to keep a journal, but many don't know where to begin and how to keep consistency in their journaling habits. These two books will increase wisdom and the knowledge of God and His promises in your life as you let the Word of God teach and instruct you. These books are recommended for those that want to draw closer to God and would like to journal their spiritual growth by keeping a record of all that God has done and will do in their lives. For more information about Author Carol Round and her books, visit Journaling With Jesus. 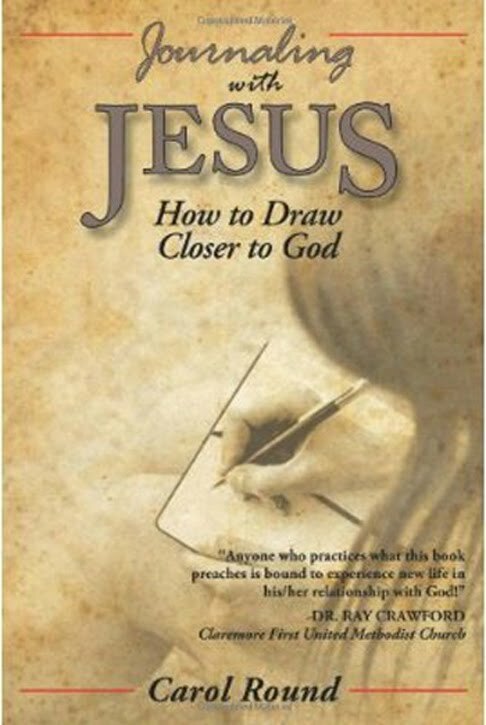 You may also get your copy of Journaling with Jesus: How to Draw Closer to God on Amazon. ~ Christian Book Marketing sharing Christ with the nations of the world.